DRL has recently been named "One of the Most Innovative Companies of 2017" by Fast Company. DRL has chosen the Lumenier AXII 5.8GHz Video Antenna to use on their FPV "Racer 3" for the 2017 season. 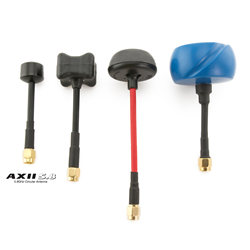 The Lumenier AXII 5.8GHz Video Antenna makes a giant leap forward in FPV antenna technology.